What is My Grow Connect? The My Grow Connect platform was designed in 2016 to create an online space where growers can swap by requesting or offering neighbors space to grow, compost, swap produce and share other valuable resources. Today, My Grow Connect is developing into an online aggregation space using resource sharing tools for advancement of the Urban Agriculture curriculum created for the After School All Stars flagship site, Stuart Hobson Middle School. The resources gleaned from multiple sites in Maryland and Washington, D.C. provide a number of sustainable resources which educate and train middle schoolers to grow their own community-based food system. 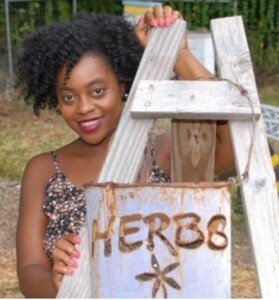 My Grow Connect is also a collaborative partner, produce purveyor and founder of #PrettyBrownGirlPop, a natural lifestyle connection between local growers, value added producers, wellness healers and artists. My Grow Connect has farmed in Prince George’s County in 2017 under the Beginner Farmer Training Class with ECO City Farms at their Bladensburg Farm with Lead Farmer Fred James. Small scale crop production was focused on value added goods such as Soilful City’s pepper jelly, made from ancestral crops like the Buena Mulata pepper plant, which have been passed down through many generations across the United States and internationally, and cultivated locally by a diverse group of local farmers. As a local food purveyor, My Grow Connect offers services which connects individuals and families to a pick-your-own food service, providing direct link between these communities and their local growers and farmers. For individuals, My Grow Connect can pick your crop on your behalf, and we are currently picking and selling to local grocery retailers, chefs, value added producers and farmers markets in Maryland, Washington, D.C. and Virginia. For pick-your-own, pop up farmers market requests and volunteer opportunities contact Jennifer@MyGrowConnect.org. 1) Create an account and verify your account via email. 2) Log on, go to your user profile and scroll down to the “Activity” bar. 4) Click “Edit” to identify your Connector category and the “Offer” & “Request” category (you can always change and adjust these items as well). We believe that people can co-create a community based food system among individual growers in communities. Together, we can sustain a global food system that is based on bartering and sharing what we have from where we live, work and play. Providing a sustainable community ecosystem allows individuals to grow plants, edibles and/or ornamentals, both beneficial to the environment and supportive in growing a sustainable community food system. This collaboration between nature and neighbors is Creative Community Builder’s approach to be inclusive of and aligned with the principle of sustainability and resilience. Jennifer L. Lumpkin is a social entrepreneur who founded Creative Community Builders, LLC in 2016 and fully conceptualized My Grow Connect (formerly Grow DC) in 2013, as a result of a long line of agricultural family members in combination with her community organizing work in Cleveland, Ohio and Washington, D.C. Jennifer’s work as a community organizer and communications practitioner is rooted in supporting the development of sustainable communities through creative relationship building and mindful resource connections.